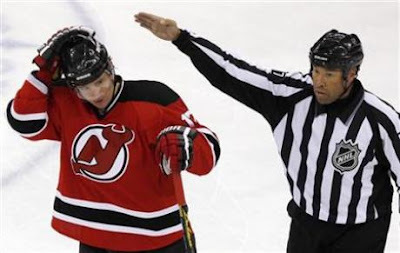 On Monday the NHL announced that the Kovachuk saga was over, but they were gonna tack on a little extra something to the New Jersey Devils' tab for their trouble. 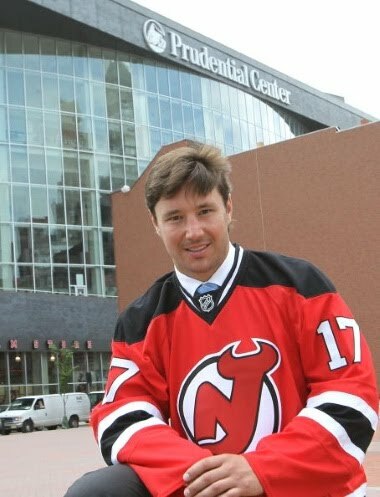 The National Hockey League and the New Jersey Devils on Monday resolved the dispute over Ilya Kovalchuk's League-rejected 17-year, $102 million contract. The rejection of that contract was subsequently upheld by an independent arbitrator. As part of that global settlement, which set guidelines for contracts of five years or more, the NHL retained its right to impose penalties on the Devils for the ill-fated Kovalchuk contract. The League announced its rejection of the contract on the basis of circumvention of the Collective Bargaining Agreement, citing Article 26, on July 21. However, like most of the chapters in this story, this reeks of ex post-facto enforcement by the NHL. Over the past couple of seasons, the NHL supposedly "investigated" long-term deals for Henrik Zetterbeg, Johan Franzen, Chris Pronger, Roberto Luongo and Marian Hossa. Although it was clear that the league did not like the structure of their deals, they did approve their contracts. Then came Kovalchuks's contract. The NHL rejected it. An arbitrator upheld their rejection... and then suddenly the league was up for re-investigating many of the aforementioned contracts again. The Devils accepted the ruling, re-worked another contract and it was approved, after a bit of negotiation. Yet, buoyed by their recent CBA loophole victories the NHL added penalties to the Devils, despite the fact that they agreed to "grandfather in" the near-violation contracts of Luongo, Hossa and Pronger. 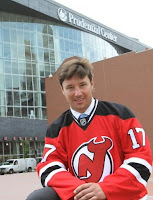 Evidently, the NHL was intent on making an example of New Jersey from the beginning. Do we agree the league had to close the current CBA contract loophole? Absolutely. But... they really took out their frustrations on one perpetrator, while the others get off scot-free.